Good evening everyone! I am back tonight to share today’s challenge for the 31 Day Challenge. 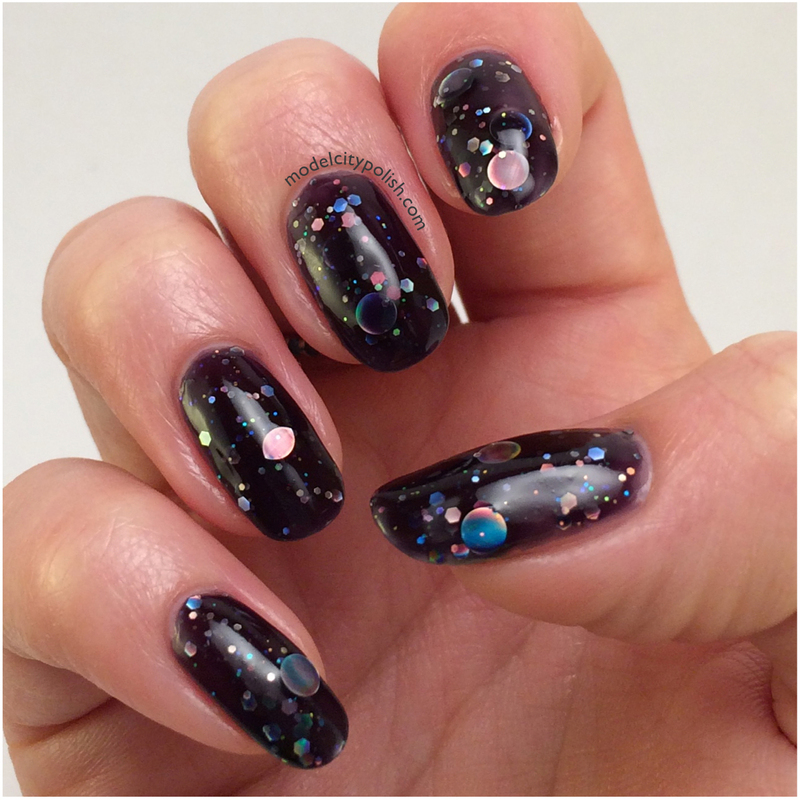 Today’s challenge is galaxy nails and to be honest…. I couldn’t even come close to creating something that amazing so I cheated. 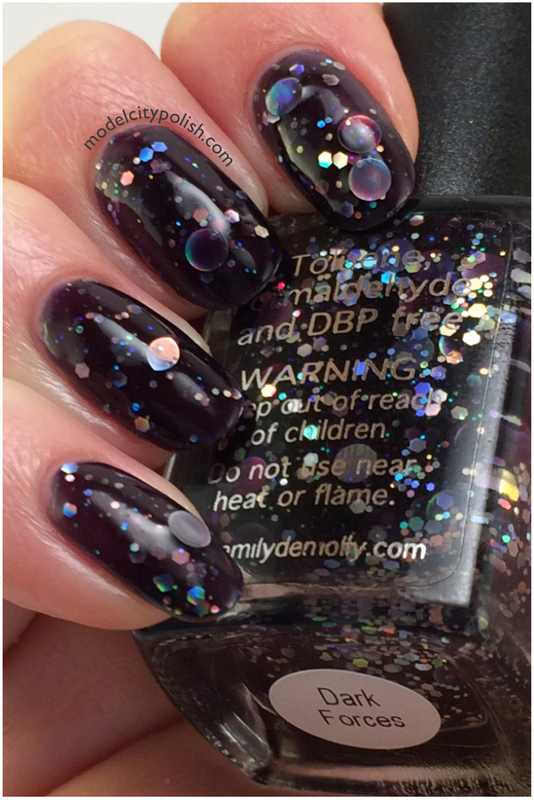 Emily de Molly Dark Forces is pretty much a galaxy in a bottle. 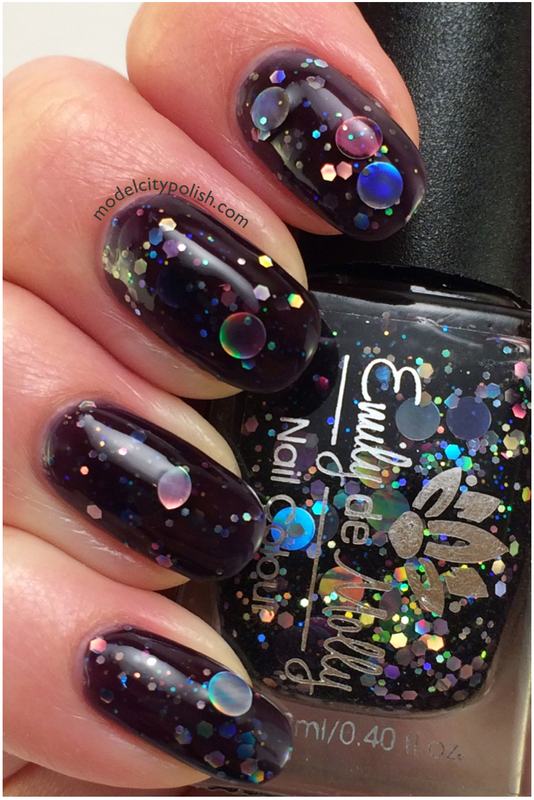 Dark Forces is a black jelly base blend filled with silver holographic glitters in various sizes and shapes. 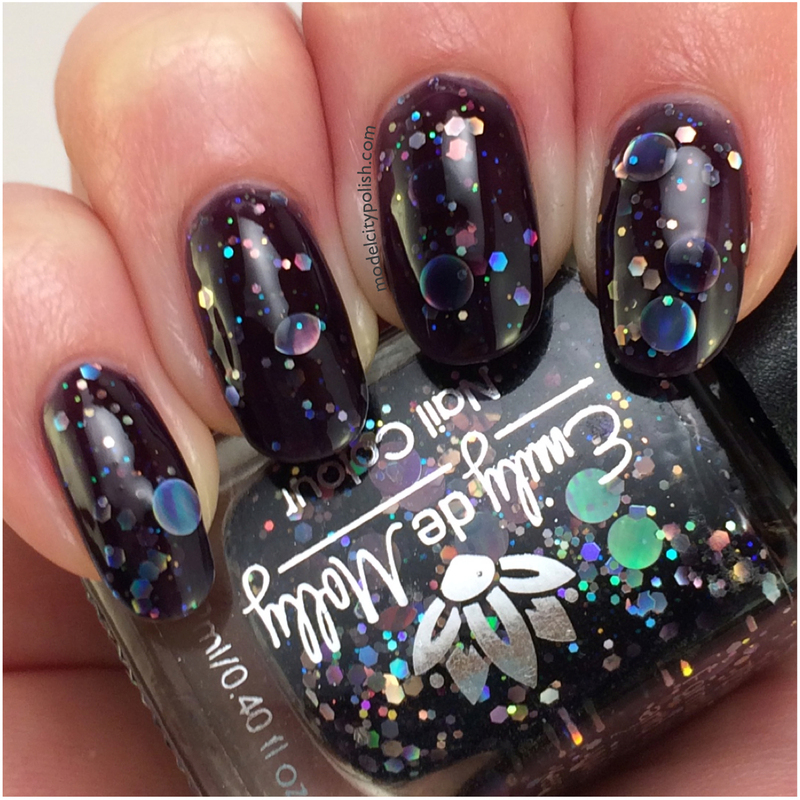 I was so thrilled to not have to fish for any of the large circles and this polish is now high on my love list. 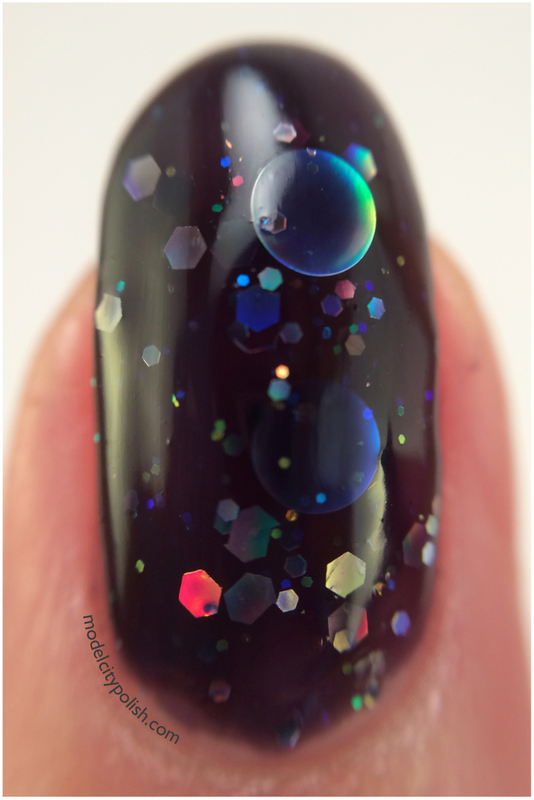 I used three coats of Dark Forces and two good coats of Gelous.